Spring is coming on strong, despite the cold latter half of March. The season is most obvious in the open habitats around wetlands. Local nesters are starting to pair up and collect nesting material. 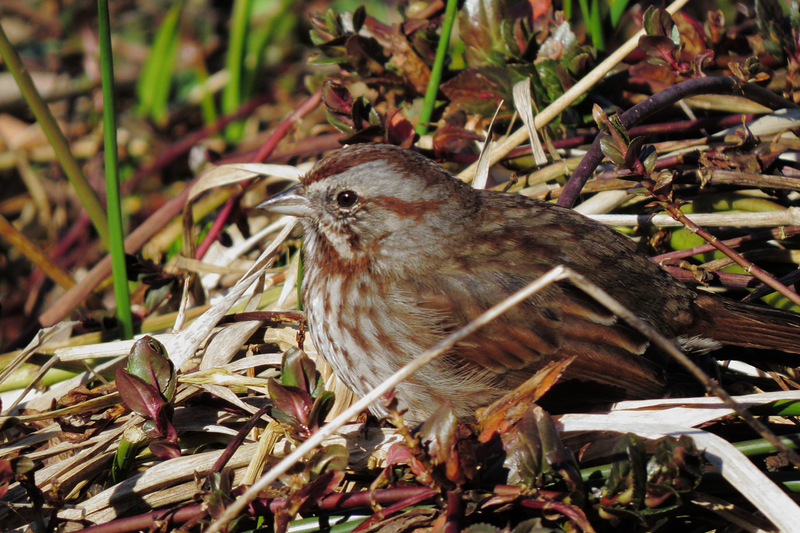 The winter sparrow flocks are starting to thin out, but the birds that remain are active and vocal. 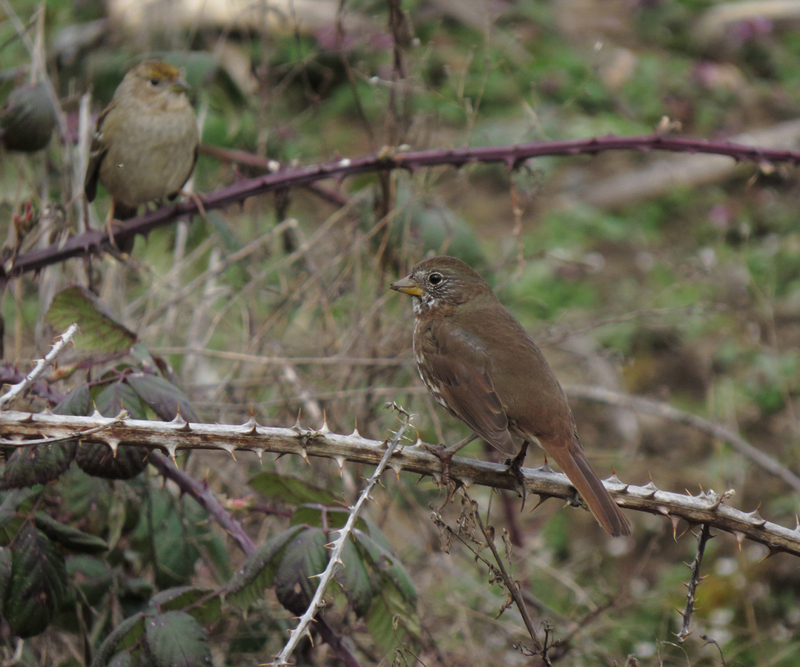 This Fox Sparrow (with a Golden-crowned Sparrow in the background) was at Fernhill Wetlands. The local Song Sparrows are paired up and are defending territories. 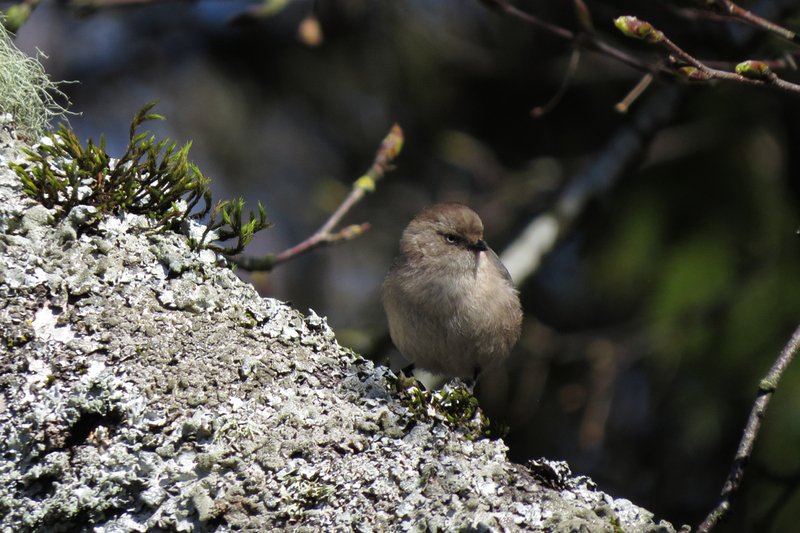 Bushtits are still in their winter flocks, but should be pairing off soon. 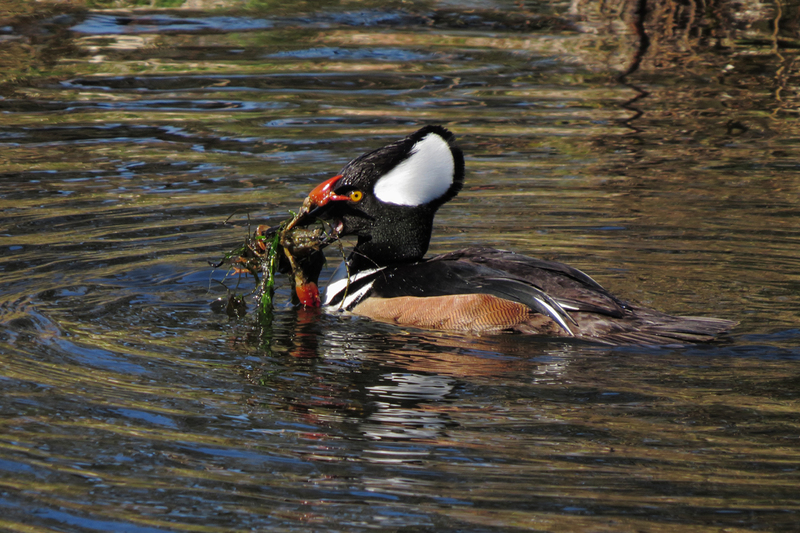 This male Hooded Merganser caught a large crayfish at Westmoreland Park, but did not share it with the female that was nearby. 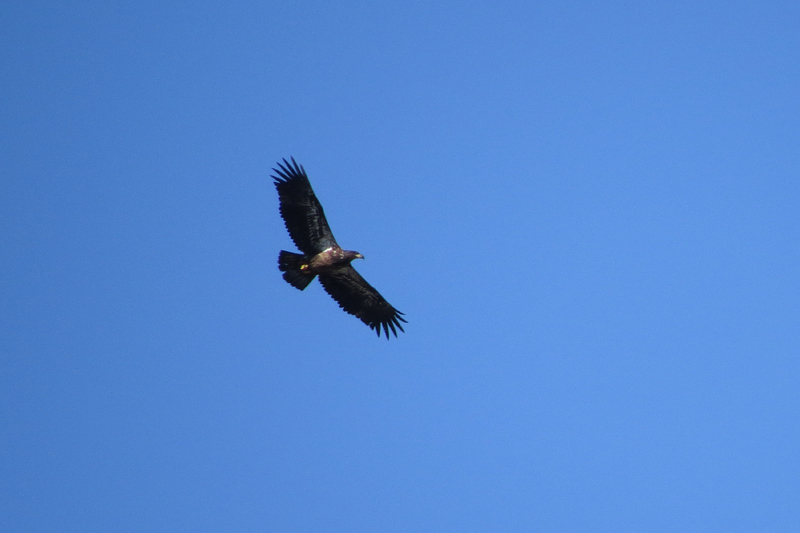 This is one of five subadult Bald Eagles that flew over Westmoreland Park in a tight group. I don’t recall seeing a flock of Bald Eagles moving together like that before. Western Canada Goose, the locally nesting subspecies. 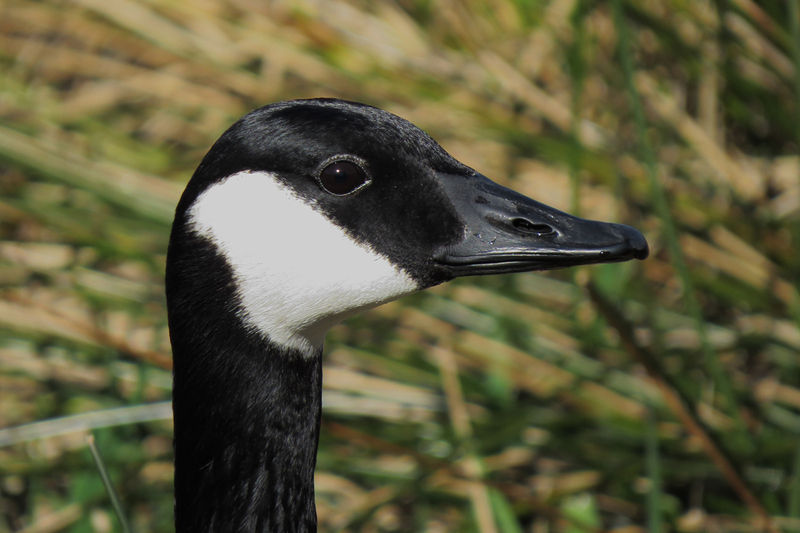 I am trying to collect portraits of the various Canada and Cackling Goose subspecies for side-by-side comparison. 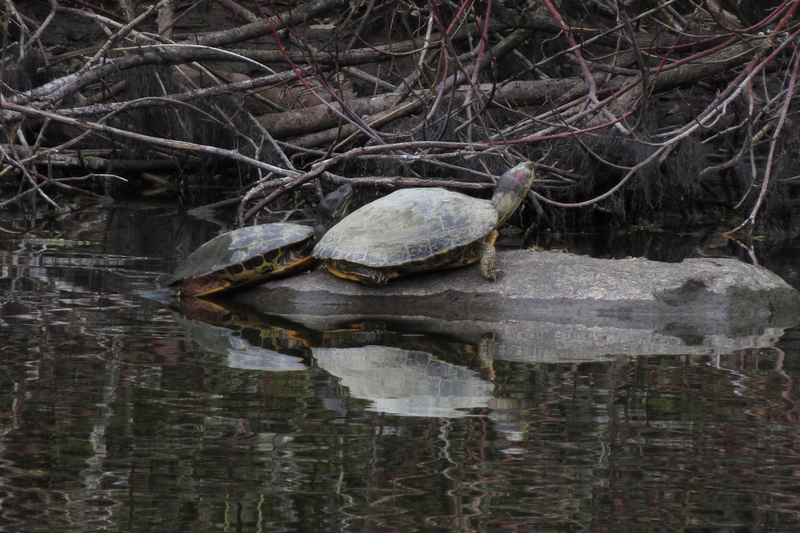 These Red-eared Sliders were basking at Commonwealth Lake. There are only two native species of freshwater turtle in Oregon, and this is not one of them. This species is often released from the pet trade. In the next few weeks, warblers and flycatchers should start arriving in good numbers, then the rush of spring shorebird migration. 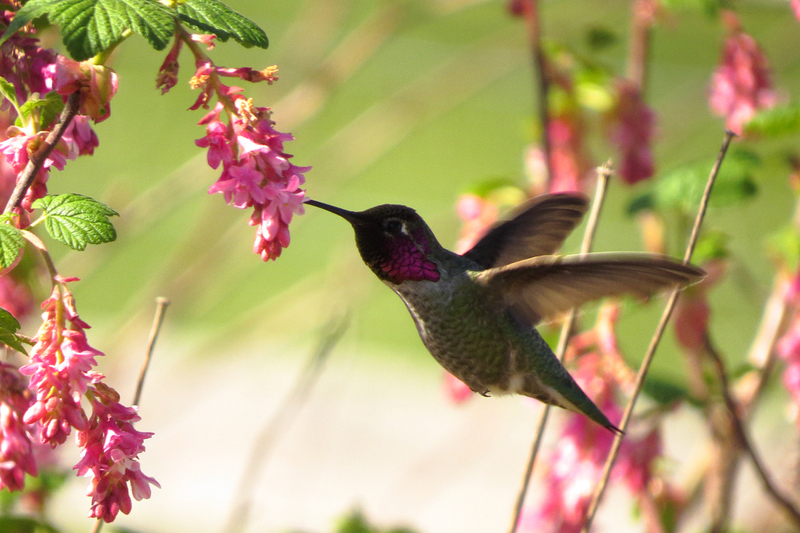 This entry was posted in seasonal movements and tagged Anna's Hummingbird, Bald Eagle, Bushtit, Fox Sparrow, Hooded Merganser, Red-eared Slider, Song Sparrow, Western Canada Goose. Bookmark the permalink.